Tal Howard, a disillusioned Korean War vet, breaks away from his old life, looking for answers and convinced he's going to find them in the small town of Hillston. What's in Hillston? Sixty grand in embezzled funds that Howard learned about from a dying friend in a POW camp. He just needs to find out where the money is hidden and contend with another former POW who has come looking for it, Earl Fitzmartin--a psychopath they were all terrified of in the camp. Howard soon learns that the secret to the money's location lies in the dead man's past, which must be discovered through the women he knew, such as the respectable Ruth Stamm and the sultry and dangerous Toni Rassele. 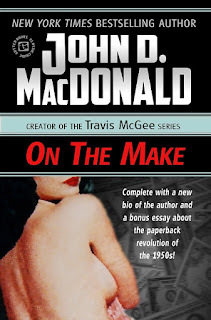 One of the most significant icons of Fawcett's legendary Gold Medal Books, John D. MacDonald is considered by many to be the premier pulp novelist of the 1950s and '60s. His novel The Executioners has been made into two Hollywood blockbusters as Cape Fear, and his mystery series featuring Travis McGee is one of the best loved fiction sagas of all time. This early novel of desperation and treachery features classic hardboiled writing, brutal action, tough characters, and a plot in which no one is spared--and our edition comes with two essays exploring John D. MacDonald's life, and the paperback revolution of the mid-twentieth century. Don't forget to leave your review on Amazon and Barnes and Noble! 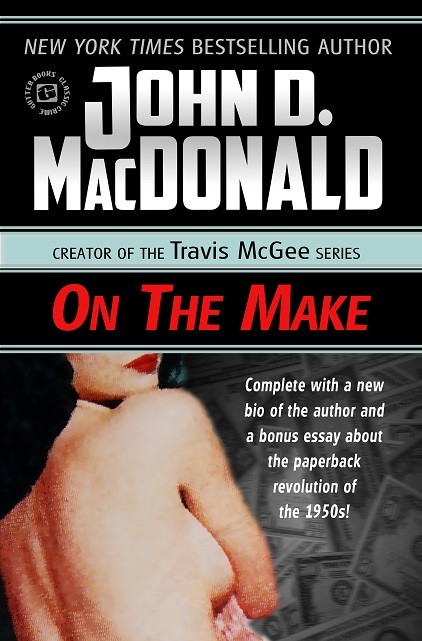 "[JOHN D. MACDONALD was] the great entertainer of our age, and a mesmerizing storyteller." "....a master storyteller, a masterful suspense writer." "....my favorite novelist of all time."